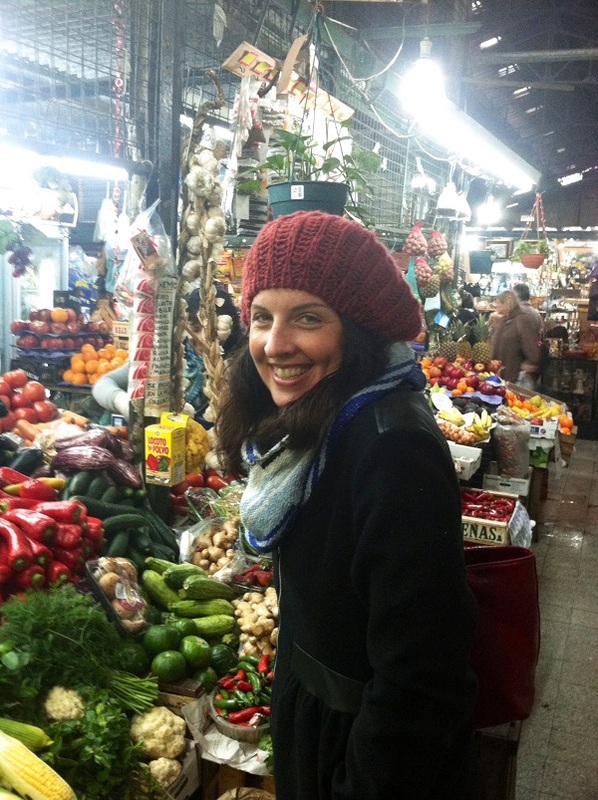 International TEFL Academy Senior Advisor Lindsay Campher Krasinski recently popped into Buenos Aires, Argentina for a month to check out the current job market and meet with ITA alumni teaching English in Argentina. We're glad that she's taken some time to share her perspectives on teaching opportunities and life in one of South America's greatest cities. 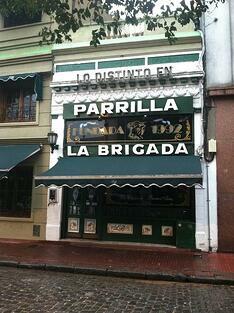 What were some of your initial impressions of Buenos Aires and were you surprised by what you encountered? My first impression, was, wow, I feel like I am in a New York City! I spent most of my time in the very trendy San Telmo area, the equivalent of Williamsburg in Brooklyn or Wicker Park in Chicago. Yet, there were cobblestone streets and incredible architecture at every turn. It seemed to mix the best of American trendiness and European sophistication. I was surprised how at home I felt being so far away. Compared to La Paz, Bolivia or Lima, Peru this South American capital felt much more familiar and modern. How would you describe Buenos Aires as a city? I would say it’s electric! Really the lights are always on and everyone is always awake. It’s a 24 hour city. The population loves the nightlife, clubs, bars, cafes, and they all stay open until the wee hours of dawn. The mornings are filled with people walking their dog, sipping on espresso or mate and simply taking it easy. There are always people on the streets. Always. What about the job market for English teachers in Buenos Aires? 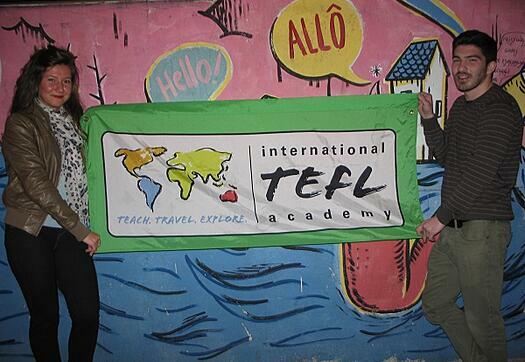 Are there many language schools and have International TEFL Academy alumni that you met been able to gain employment? The job market in Buenos Aires is thriving. The alumni I met with all had many jobs they were juggling and some they had to let go because of simply too much work. You’ll find as a native English speaker in Buenos Aires you are quite the hot commodity! Many English teachers are Argentinians, Venezuelans, or Brazilians, when they see a native speaker looking for employment they jump at the chance. You are who their clients want for a teacher. Someone with a native pronunciation of the English language. 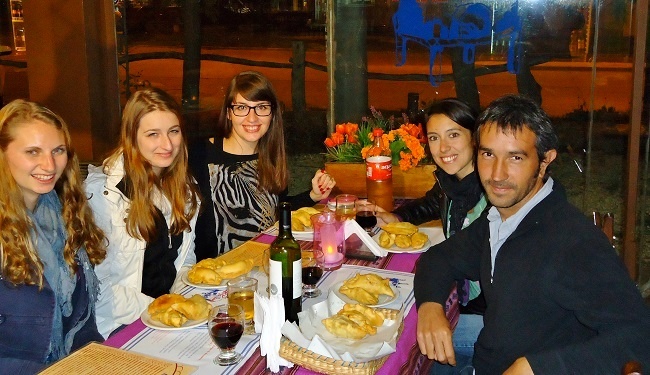 You met with some International TEFL Academy alumni who are teaching English in Buenos Aires – do they seem to be enjoying their experiences and have they adjusted well to life in Argentina? Yes, they seem to thoroughly be enjoying themselves. They have been able to travel throughout Argentina to wine country and the coast. Tango lessons were on their agenda as well as trying as many Parrillas for steak as possible. 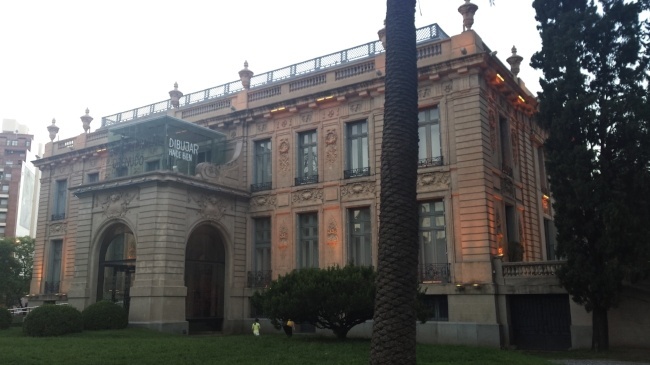 Although Buenos Aires is a South American city it has a very global feel to it. Many alumni were living with university students or fellow teachers from all over the globe. They were getting a taste not only for the Argentinian culture but also the culture of their international roommates. 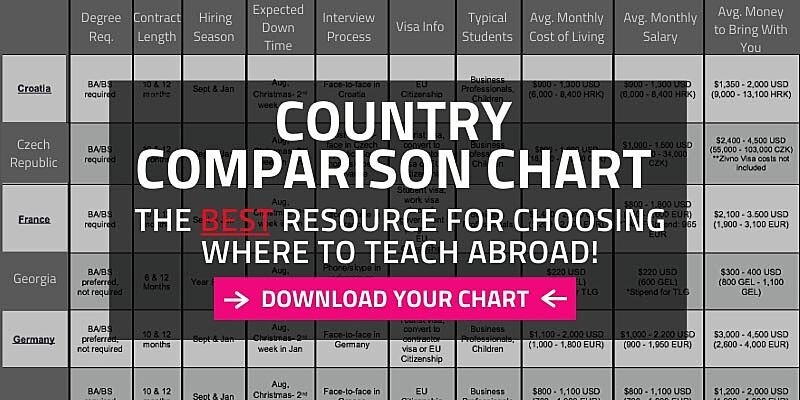 Based on your discussion with English teachers in Buenos Aires, what sort of salaries can TEFL-certified teachers expect to receive and based on the local cost of living, do first-time English teachers make enough to actually support themselves and live comfortably? Teachers are looking at earning $5-7 per hour at a language school and $8-10 per hour as a private tutor (converted from Argentinian Peso). This is a good wage in Argentina based on the local cost of living (see country comparison chart). Many teachers opt to fill their schedules with the highest bidders whether that comes from a school, an individual, or perhaps a business. And the teachers in Argentina live well because the cost of living is very low so rent and groceries are easily afforded by an English teacher even as you are just starting off. One issue that English teachers face is the question of, how to get a work visa. What’s the situation in Buenos Aires and Argentina: can English teachers from abroad get the necessary paperwork to teach legally? When in Rome, do as the Romans do. In Argentina one thing to understand quickly is that it’s a cash economy. Credit cards, banks, taxes, these financial norms have slowly dilapidated over the last decade with the fluctuation and inflation of the Argentinian peso. Today in Argentina the American dollar holds the most weight and cash is king. When you are teaching in Argentina you will be getting paid cash by your employer. This is the norm. No work visa, no work permit, just you on a tourist visa getting paid cash. Most tourist visas only allow 90 days within Argentina. How do English teachers work around getting paid cash and working on a tourist visa. Do they have to go home after only 90 days teaching? Renewing your tourist visa by traveling outside Argentina’s border is the way to stay in Argentina and not worry about your tourist visa expiring. There is a one hour ferry that leaves Buenos Aires for Uruguay multiple times a day. Once you leave Argentina the ferry provides you with your exit stamp. Once you enter Uruguay an hour later you have an entry stamp to come onto Uruguayan soil. Teachers typically hangout for the day or weekend in Uruguay. Many teachers take advantage of taking American dollars out of the ATM’s in Uruguay to trade them on the "Blue Market" (the local term for the black market) and then return to Argentina. Once you return, you have a fresh 90 days on your passport with your new Argentinian entry stamp. The nightlife in Buenos Aires is out of this world. Enjoy a nice glass of Malbec and a steak at local Parrilla with friends before heading to a trendy neighborhood like San Telmo or Palermo for bar hopping and dancing until dawn. If you enjoy parks, street markets and fairs, they are EVERYWHERE. 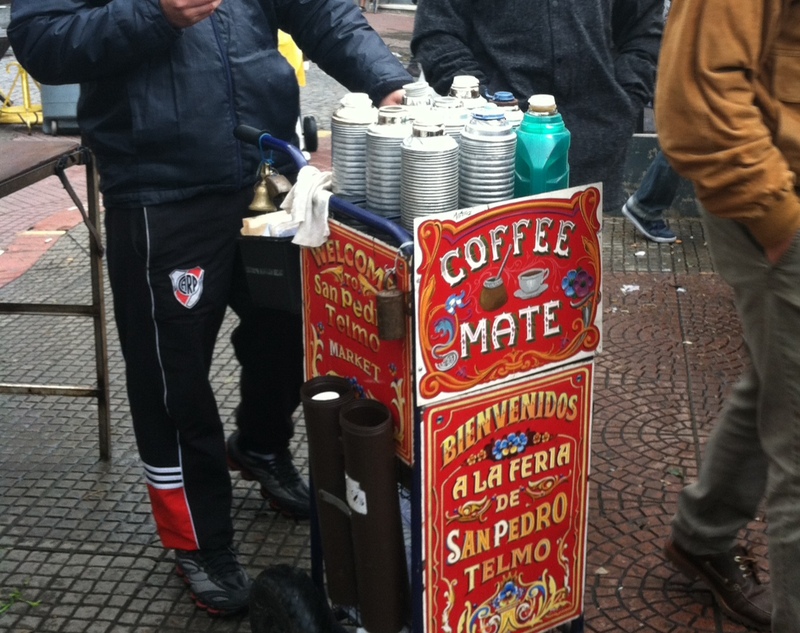 Argentinians are hanging out in the sun playing the guitar and sipping on mate (a local beverage) everyday of the week. The culture is relaxed and tranquil compared to many European and North American counterparts. Traveling outside Buenos Aires to the country side or coast is a must and you’ll find buses easy and accessible. In conclusion, Lindsay, if somebody wants to teach English in Buenos Aires, what steps do they need to take? If you are remotely interested in teaching in Argentina, contact your advisor for even more details. 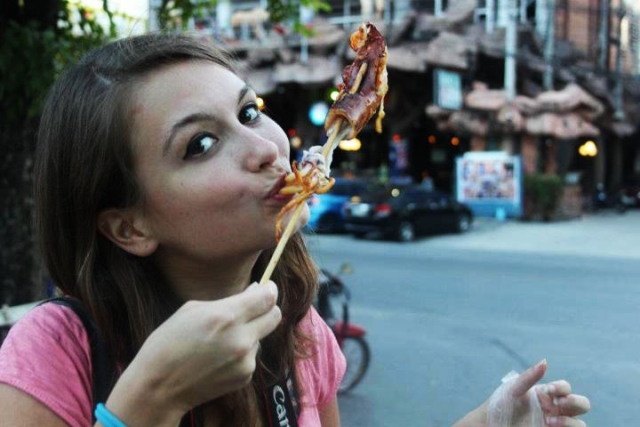 Earning your TEFL certification is key. International TEFL Academy offers TEFL classes in Buenos Aires, or you can get certified online or at one of of 25 other location around the world and then go to Argentina to teach. Either way, you will receive job search guidance to assist you in gaining employment. The bottom line? Argentina offers the charm of Europe and the laid back attitude of South America. The cuisine, wine, culture, and architecture is a must to experience. The birthplace of Tango has an unbeatable English teaching market and a passion for life! Want to learn more about about teaching English in Argentina and around the world? An avid traveler, Lindsay grew up in a log cabin in the hills of Connecticut where international culture and excitement simply did not exist. This inspired her to begin her travels in her teenage years. She has now visited nearly 30 countries. Lindsay has worked and volunteered in Germany, South Africa, Japan, Czech Republic, and Iceland doing everything from experimental medieval archaeology in the mountains of the Czech Republic to charting paths through glaciers in Iceland. 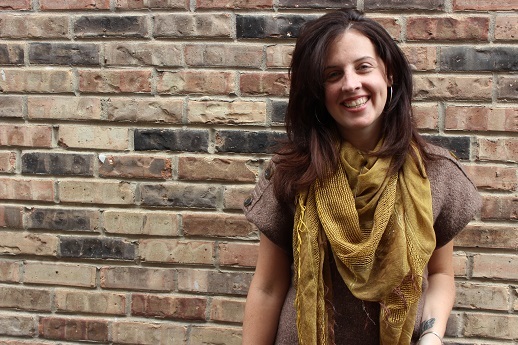 When she is not living in the U.S., Lindsay spends her time exploring the Andean cultures of South America.